As for most people here in Malaysia, football is a big thing. 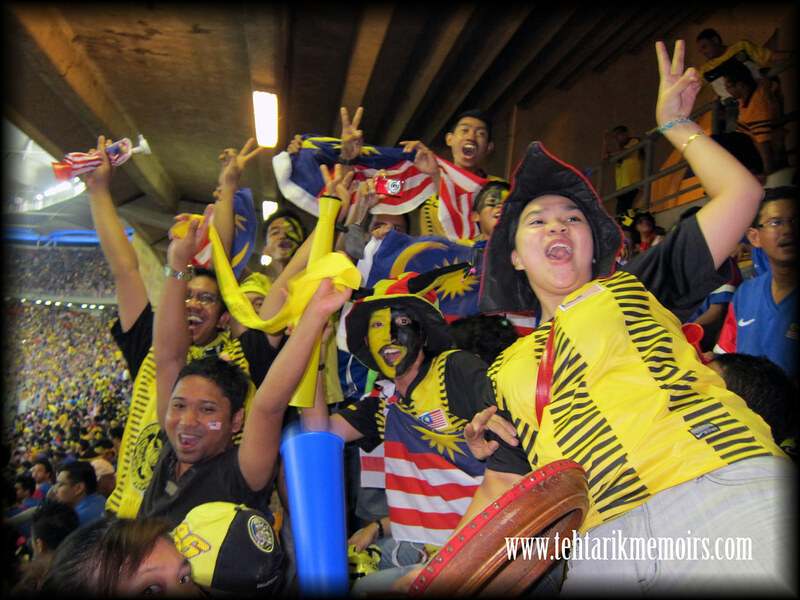 In light of that, we have seen a large emergence of support coming from the Malaysian public for our national football team. Truth be told its about time this was going to happen. 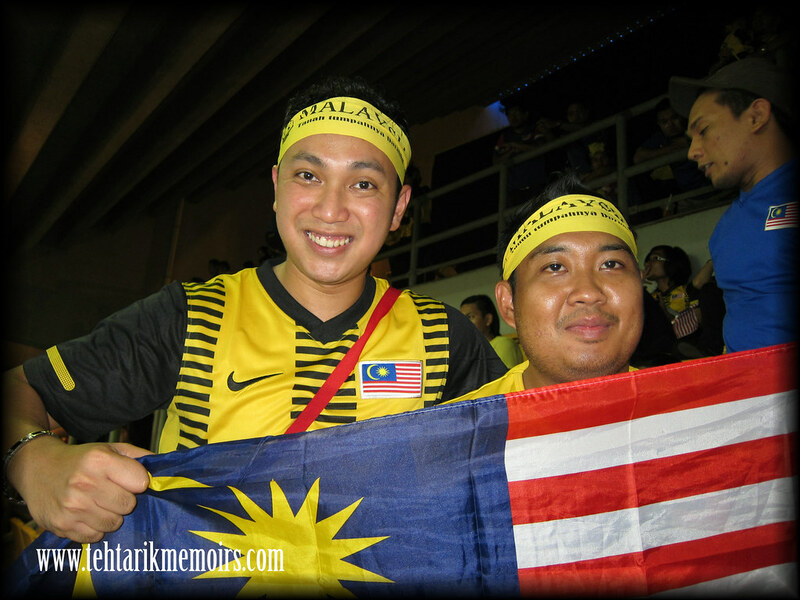 I have been supporting Harimau Malaya for god knows how many years, and even there were times during the gloomy years that I was ridiculed badly for supporting them, since during those time no one wanted to even bother supporting the Malaysian team. Nevertheless I had Ash backing me up with the support even during those years and since then, we hardly even missed a game that Malaysia played (although back then they used to play in the Shah Alam Stadium and it was just 10 minutes walking distance from my house!). For this time around we faced a familiar foe and interestingly enough, I decided to ask for back up this year. As I promised my colleagues in my workplace that in return of supporting Germany during the Euro 2012 (provided they go through), MY GERMAN COLLEAGUES AGREED TO COME AND SUPPORT MALAYSIA WITH ME! It took us quite a bit to find necessary jerseys for everyone (as stock was not really that easy to find these days) but after weeks of preparation we managed to get our hands on some jersey and we were set to go! All of these guys are sports fan themselves back in their home country so there were no problems getting them on board with the idea! We took days to plan out our route to the stadium and we have collectively decided (despite my grumbling) of taking the public transport to the stadium. As we make our way to the stadium, I did brief them a little bit about the history of football rivalry between the two nations and what to expect from the crowd today, which got them uber excited to actually reach the stadium. Ash had to make his way from his office on his own and basically rendezvous in the stadium itself. One of the things I prepared myself for this game (apart from the jersey, headband and scarf) was a modified vuvuzuela that would fit the occasion itself! 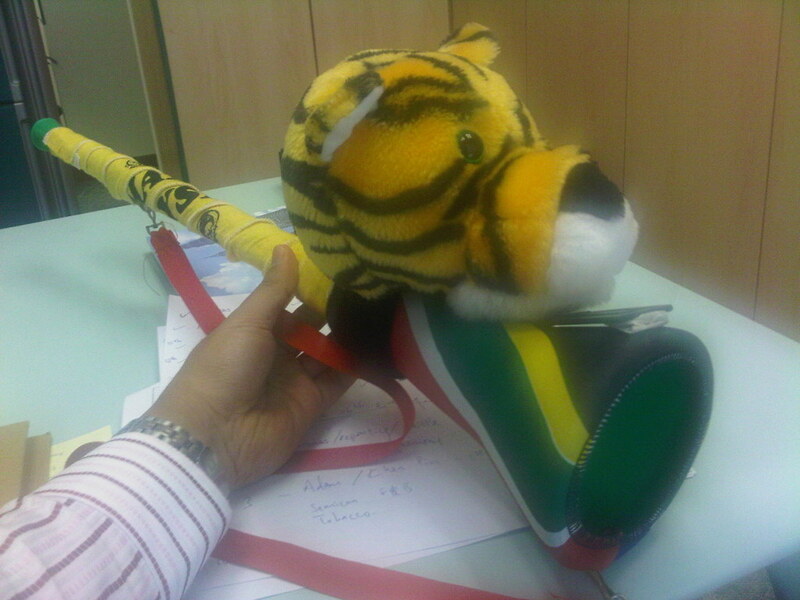 What I did was that I took the original vuvuzuela that I got from the last World Cup in South Africa, wrapped it with an old Malaysia headband that I bought many years back. Then I attached my Tiger Woods golf club cover on top of it and tadaaa! 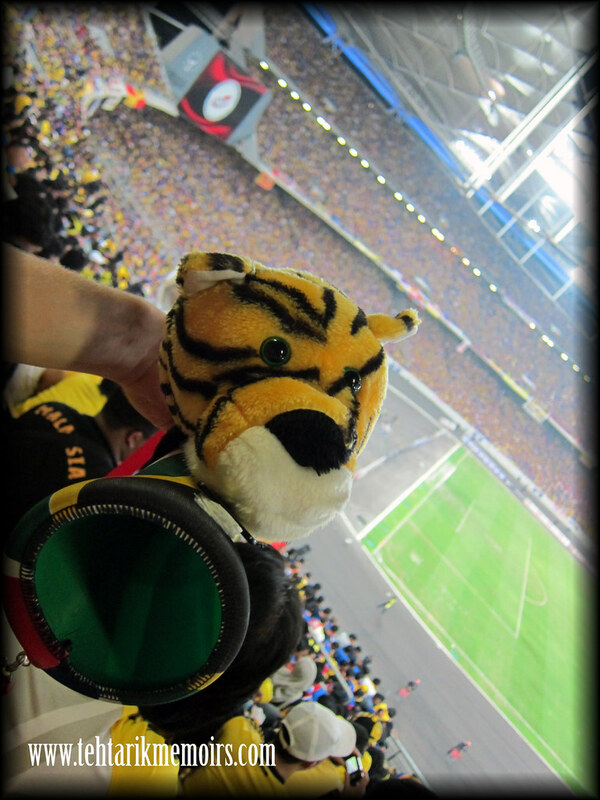 My very own Harimau Malaya vuvuzuela! Once we got there, to no surprise my German colleagues almost created a ruckus in the stadium. 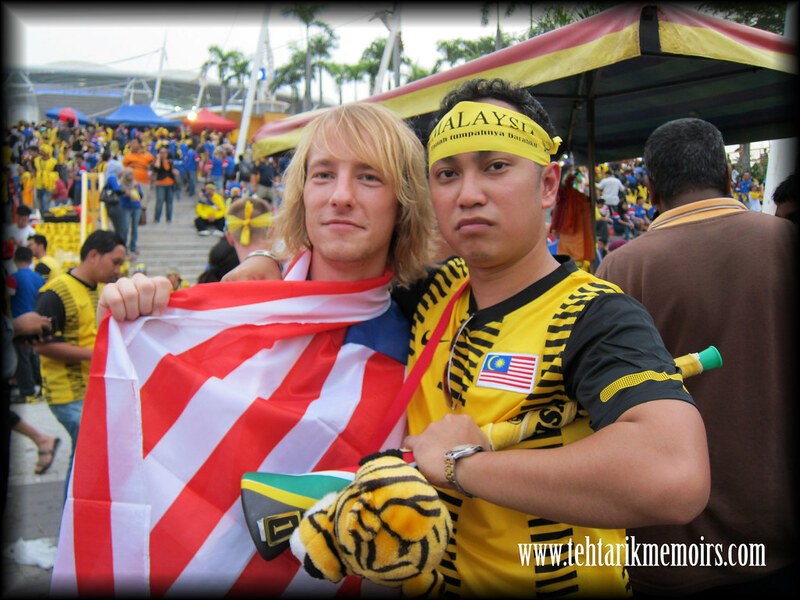 You see it is very rare to see one foreigner to wear a Malaysian jersey to a game, imagine a bunch of them at the same time! Everyone wanted to take pictures with them and it was amazing with the reception that was given to my colleagues from the Malaysian supporters. Pictures were taken every 10 meters we walked and people kept thanking them for supporting Malaysia as well!!! Nevertheless we managed to squeeze in some poses before the game as well! As the match was about to begin, the entire stadium begun to roar. I had major goosebumps and slight teary eyes when singing the "Negaraku" with the rest of the crowd and roared to my loudest when we started to chant the song "Barisan". For once as I was looking around the crowd I saw what we as Malaysian are proud of all these years, despite the fighting and despite the conflict. We are united and we are loud! During the match, disappointingly we were not treated to a hair raising football match but rather a show of one team trying to act their way through and another actually playing football. Because we were trailing by 5-3 from the first leg of the match, quite honestly members of the Singaporean team spent more time lying on their back than a used prostitute in Geylang. Each and everytime they had an opportunity to waste time, we would see them rolling around or pretending to pass out in the middle of the field. Do watch the highlights below! Despite our efforts, we came out short of getting ourselves through. Truth be told despite the defensive mistakes that has laden our team for many years, one would be able to see the work rate and heart these players have given to us. Apart from Safee "Super" Sali that managed to dazzle the crowd each and everytime, I must say that credits must be given to one of the best goalkeeper I have ever seen in my life, pound for pound. 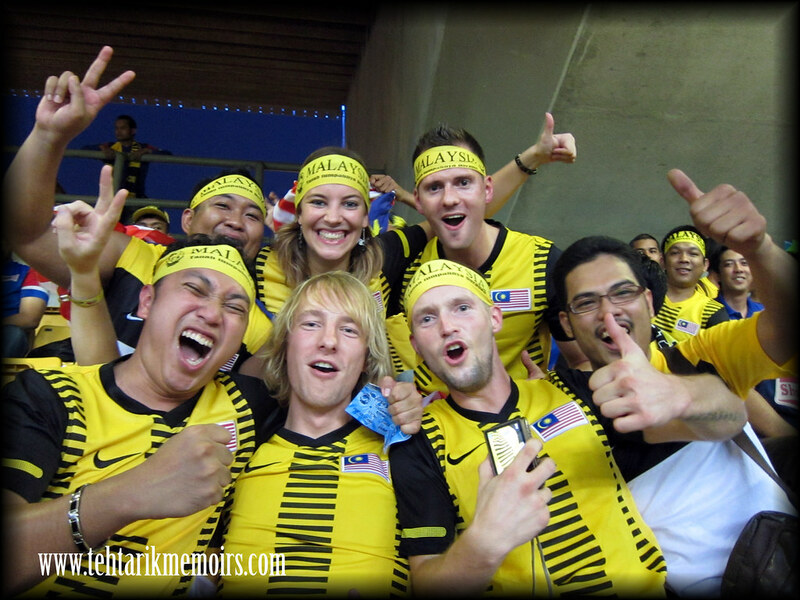 In the end I had a great time watching the game and renewed my entire faith in the Malaysian team. Honestly I believe that we would have built a steady ground to grow from now on. Much thanks to my colleagues to actually join in the fun and tolerate with my antics in the stadium that night! This is Malaysia. Built by Malaysian, 100% home grown. 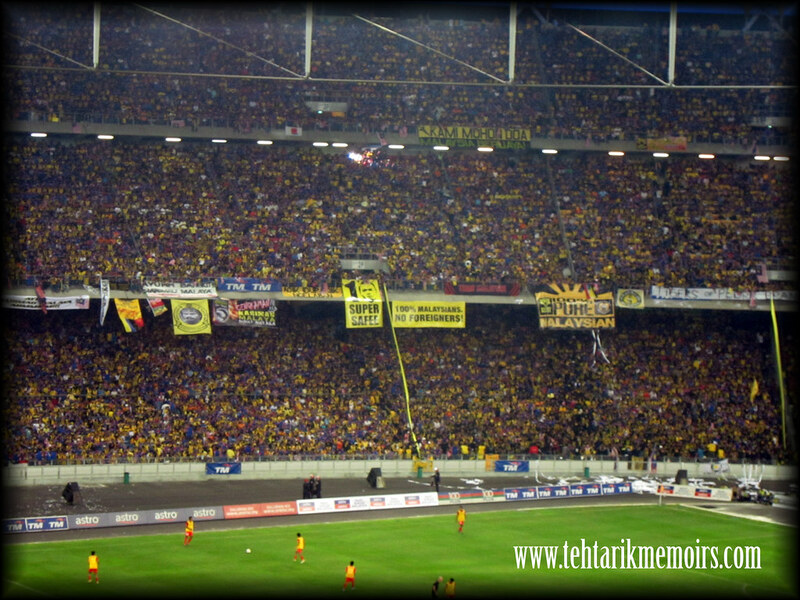 And I am damn proud to be an Ultras Malaya! Guten tag! :) Ultra Malay for LIFE!!!! yeah man. malaysia games are always that good when we decide to go and watch it live ahaha!